Georgi Minasyan Jr. has been a passionate duduk musician since the age of nine. His participation in international contests has resulted in multiple top awards. Minasyan received first prizes at the Spendiaryan National Contest-Festival of Young Musician-Performers in 2005 and the Young Performers Contest organised by UNESCO in 2007. He was announced Best Performer at Renaissance International Contest-Festival of Musicians-Performers. 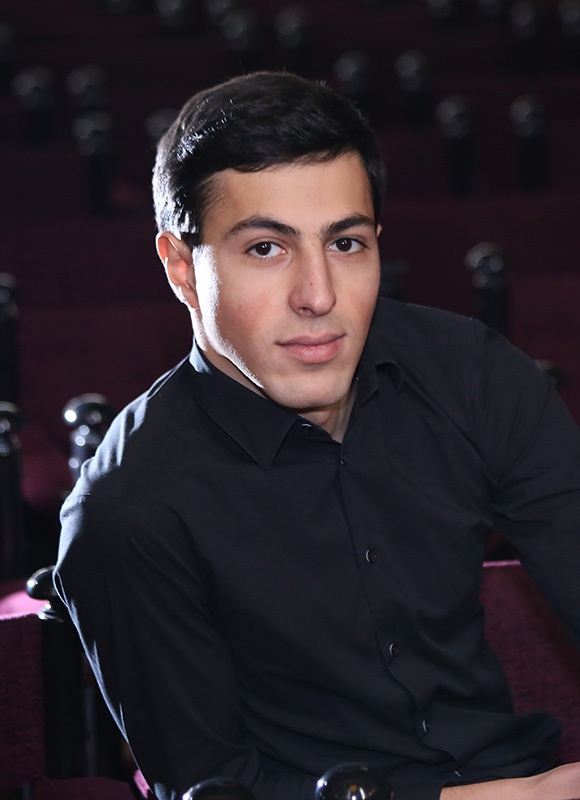 Born in 1992, Minasyan graduated from Komitas State Conservatory of Yerevan in 2013. He has been a soloist of the Dudukner Ensemble since 2006 and the Tsirani ensemble since 2015. Both musician and educator, Georgy Minasyan is a duduk instructor at R. Melikyan State Musical College of Yerevan. Georgi Minasyan was honored with an invitation to AIR Studios in London to record solo duduk for the Hollywood feature film, ‘The Promise’. Working with Academy Award winning composer, Gabriel Yared (The English Patient, The Talent Mr. Ripley), along with Director Terry George and Orchestrator Jeff Atmajian Georgy created an amazingly moving and dramatic score for the film.